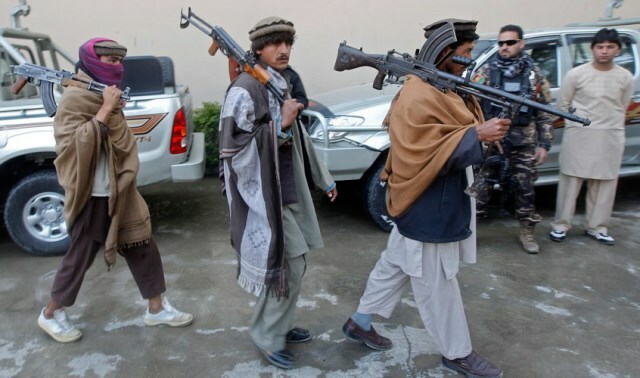 Home IN-DEPTH Is Russia arming the Taliban to snub Washington? Is Russia arming the Taliban to snub Washington? On November 9, Russia hosted talks between Afghanistan’s High Peace Council, the members of the Taliban from its Doha, Qatar office and representatives from eleven regional states, including China, India, Iran and Pakistan. The meeting showcased Russia’s re-emergence as an assertive global power and its regional clout. In fact, according to a recent report by the US Special Inspector General for Afghanistan Reconstruction (SIGAR), the US-backed Afghan government only controls 55% of Afghanistan’s territory. It’s worth noting that SIGAR is a US-based governmental agency that often inflates figures. Factually, the government’s writ does not extend beyond a third of Afghanistan. In many cases, the Afghan government controls district-centers of provinces and rural areas are either controlled by the Taliban or are contested. The number of US troops stationed in Afghanistan did not exceed beyond 30,000 during George Bush’s tenure as president, and soon after occupying Afghanistan, he invaded Iraq in March 2003 and American resources and focus shifted to Iraq. It was the Obama administration that made Afghanistan the bedrock of its foreign policy in 2009 along with fulfilling then-President Obama’s electoral pledge of withdrawing the US troops from Iraq in December 2011. At the height of the surge of the US troops in Afghanistan in 2010, the American troops numbered around 140,000 but they still could not manage to have a lasting effect on the relentless Taliban insurgency. This outreach of the Taliban into the traditional strongholds of the Tajiks and Uzbeks in northern Afghanistan bordering the Russian client states Tajikistan, Uzbekistan and Turkmenistan has come as a surprise to perceptive observers of the militancy in Afghanistan. It is commonly believed that the Taliban are the proxies of Pakistan’s military which uses them as “strategic assets” to offset the influence of India in Afghanistan. 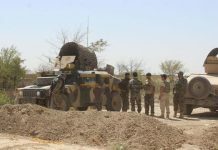 The hands of Pakistan’s military, however, have been full with a home-grown insurgency of the Pakistani Taliban (TTP) since 2009 when it began conducting military operations in Swat and Pakistan’s tribal areas bordering Afghanistan. 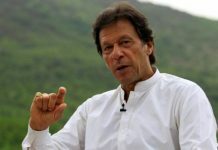 Although some remnants of the Taliban still find safe havens in the lawless tribal areas of Pakistan, the renewed vigor and brazen assaults of the Taliban, particularly in the Afghanistan’s northern provinces, as I described earlier, cannot be explained by the support of Pakistan’s military to the Taliban. It bears mentioning that the Russian support to the Taliban coincides with its intervention in Syria in September 2015, after the Ukrainian Crisis in November 2013 when Viktor Yanukovych suspended the preparations for the implementation of an association agreement with the European Union and tried to take Ukraine back into the fold of the Russian sphere of influence by accepting billions of dollars of loan package offered by Vladimir Putin to Ukraine, consequently causing a crisis in which Yanukovych was ousted from power and Russia annexed the Crimean peninsula. Although the ostensible reason of Russia’s support – and by some accounts, Iran’s as well – to the Taliban is that it wants to contain the influence of the Islamic State’s Khorasan Province in Afghanistan because the Khorasan Province includes members of the now defunct Islamic Movement of Uzbekistan (IMU), which is Russia’s traditional foe, the real reason of Russia’s intervention in Syria and support to the Taliban in Afghanistan is that the Western powers are involved in both of these conflicts and since a new Cold War has started between Russia and the Western powers after the Ukrainian crisis, hence it suits Russia’s strategic interests to weaken the influence of the Western powers in the Middle East and Central Asian regions and project its own power. Finally, although the main reason of the surge in Taliban attacks during the last couple of years is the drawdown of American troops which now number only 14,000, and are likely to be significantly scaled back after Donald Trump’s announcement of withdrawal of American forces from Syria and the reports of Trump’s decision – which hasn’t been announced yet – that the Trump administration has decided in principle to reduce the number of US troops in Afghanistan by at least 5,000, the brazen Taliban offensives in northern and western provinces of Afghanistan bordering Iran and the Russian clients Central Asian States lend credence to the reports that Russia and Iran are also arming the Taliban since 2015 in line with their “strategic interests” of containing Washington’s influence in the region. Even Kremlin seems cognizant of the general perception that Moscow is arming the militants to subvert Washington-backed government in Afghanistan, as Russia’s Ministry of Foreign Affairs released a statement  on January 16 claiming that it “received information” that there will be “bogus” Afghan and Western media reports alleging that Moscow is aiding insurgents in Afghanistan. The is an Islamabad-based attorney, columnist and geopolitical analyst focused on the politics of Af-Pak and Middle East regions, neocolonialism and petro-imperialism.